Ikeja can’t be represented by a man saddled with the quest to lead his native people in Kogi State. The Assistant Legal Adviser of the All Progressives Congress (APC) in Lagos Bar. 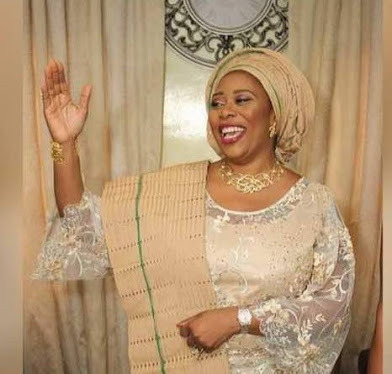 Adetoke Benson-Awoyinka speaks on why she wants to represent Ikeja Constituency in the Federal House of Representatives in the coming election. One would have thoughts Toke Benson having served the party at state level will be satisfied but that’s not the case with her. While speaking, she said her service to the party as Assistant Legal Adviser is more sacrificial in my area of expertise as a lawyer. The party executive at the state is the engine room which births the government from the local government, to the state executive and legislatures, all the way to the Presidency. Working as a state officer merely lays a good foundation and serves as a good stepping stone into the heart of politicking. It exposed me to the inner workings of the organisational aspect of politics. At the state you learn to deal with people from all works of life, people relationship and management skills are most important. However, my passion to give back to my people and nation calls for a more challenging responsibility. As a trained lawyer with almost 30years post call experience, where else but to focus on making good and necessary laws in all spheres of life and addressing so many wrongs and loopholes in our constitution. Ikeja Federal Constituency, being home to the state capital, is not only strategic but also sensitive as the pacesetter for others in terms of legislation that drives development, education, vocation, enterprises and promotes development. What are you bringing to the table to ensure that this is achievable? Indeed Ikeja is very strategic and that is why we need the best brains and the right mindset at the helm of affairs. Ikeja shouldn’t be the place for mediocre ideas. Ikeja in the last few years has been bereft of good representation in the hands of a man who is otherwise saddled with the quest to lead his native people in Kogi State. The issues of Ikeja have been put on the back burner due to “ghost” representation where our Representative had been otherwise engaged in a prolonged battle to win the governorship race in Kogi State. Ahead PDP Convention, IBB, Jonathan Wades In Party Leadership Going To South West. PHOTOS AS AISHA BUHARI’S BROTHER MUSA HALILU AHMED TURBANED AS DUJIMA ADAMAWA. We Gave Them Notice Before Our Operation -Lagos Reacts To Ikoyi Building Demolition.